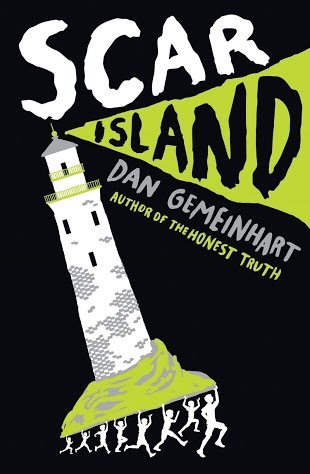 A book that makes you laugh every time you read it is a sure sign of a great book. The first time I read My Pictures After the Storm, the latest ‘curiously good’ book from Gecko Press, I was laughing the whole way through because I didn’t know what to expect. Now, every time I read it I know what is coming and it is just as funny. My Pictures After the Storm is a stand-out book and my favourite book at the moment. I want to show it to everyone I see and I am desperate to show it to all the kids at school after the holidays. It features a series of before and after illustrations that are incredibly clever and absolutely hilarious. Eric Veille shows us the changes to his pictures after the storm, after a cannonball, after the hairdresser and much more. The text is sparse but the language that Eric uses is rich. On the My Pictures after the hairdresser page for example the lion-tamer goes from being ‘a lion-tamer unconcerned’ to ‘a lion-tamer nicely permed.’ A cake after the elephant turns into a splitch and an octopus becomes a splatch. One of my favourite pages is ‘My pictures after a cold,’ because you have to say the names of the fruit and vegetables like you have a cold. Eric’s illustrations are what makes this book so brilliant. They are full of humour and expression. It is so much fun to compare the before and after pictures to see what has happened to everything on the page. Each of the scenes is something that kids and adult will be able to relate to, from having lunch and going swimming to having a battle and eating too many potato chips. My Pictures After the Storm is a book that kids will beg to read again and again and adults will be happy to do so. It’s a book that will have you laughing together and noticing new things on the page each time you read. It is sure to engage even older children who will appreciate the clever illustrations and humour. Do you know a fan of Andy Griffiths and Terry Denton’s Treehouse series? Are you looking for something to occupy them these school holidays? You need to rush out to your nearest bookshop and buy a copy of The Treehouse Fun Book 2 from the creators of the Treehouse series. 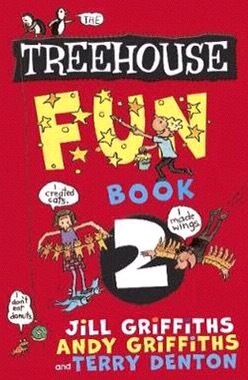 The Treehouse Fun Book 2 is the perfect book for any fan of the brilliantly funny series. It is chock full of Terry’s hilarious illustrations that kids love and Andy, Jill and Terry’s crazy antics. It’s a book to make kids really feel like a part of the series as they fill in their details at the start of the book and get to control the action by writing and drawing. You can use the combining machine to make crazy new animals, create moo-vie posters, decipher coded messages, create a disaster in the treehouse, write in speech bubbles to create wacky conversations between animals, and make up names for Jill’s rabbits. There really is hours of entertainment in this book and it will have kids laughing out loud. Grab a copy of The Treehouse Fun Book 2 to keep your kids entertained these school holidays.